"The new style of Ubuntu is driven by the theme "Light". We've developed a comprehensive set of visual guidelines and treatments that reflect that style, and are updating key assets like the logo accordingly. The new theme takes effect in 10.04 LTS and will define our look and feel for several years. In 2009, a small team lead by Mark Shuttleworth, conducted a review of our key brand values and identity. 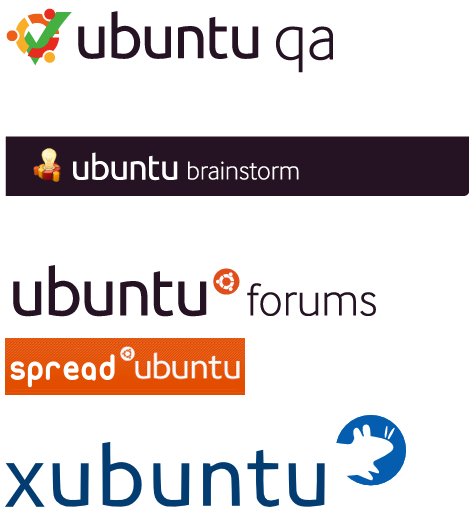 Based on that work, a set of visual treatments were produced, and shared with key members of the Ubuntu Art community, spanning the core distributions, derivatives, and aligned efforts like the Forums. 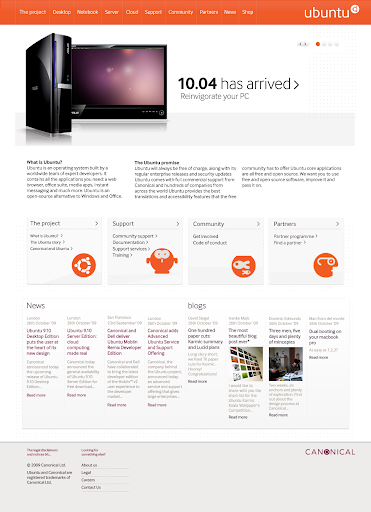 Representatives from Ubuntu, Kubuntu, Edubuntu, Xubuntu, Mythbuntu, SpreadUbuntu and more came to London and worked with the Canonical design team to refine the designs and work together. The results of that work are presented here." The new logo typeface is called "Ubuntu", and according to Popey, it's still work in progress (with some 15 characters done so far). But about the theme: I don't know about you, but I have to wonder (even though I for one like the new themes and all): what's up with the window buttons on the left, purple background and the notification area icons? Isn't that too... how should I put this? Mac OS X? Of course, one could argue that the top left of the screen tends to be the initial focus point so it makes sense to put the controls there but I could also say that people are used to them being in the top right corner. Another reason for moving the window buttons to the top left corner could be so that they don't interfere with the notification bubbles (I remember a lot of people were complaining about the notifications being displayed too low and it seemed like a bug for many people - well, this would "fix" it). 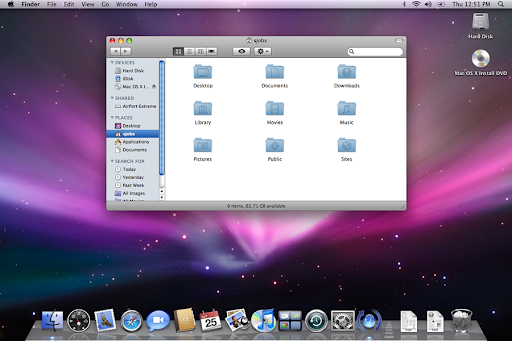 It took me 5 minutes to get over "Mac OS X" and then I noticed something else: there is no bottom panel! 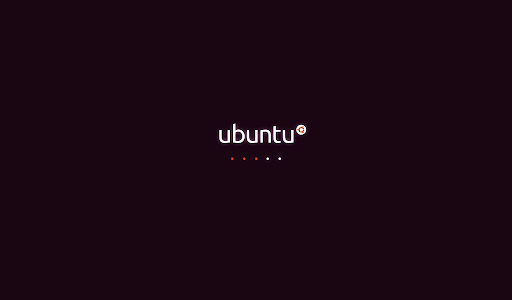 So does that mean Ubuntu will feature a dock of some sort? Or maybe there is a panel but it's on auto hide (that can also be a dock)? Indeed, it seems the screenshot was taken with auto-hide so there was a panel at the bottom. 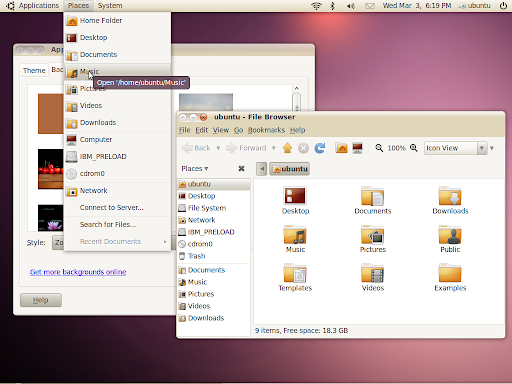 I'm going to let you number the elements which look almost the same in the new Ubuntu 10.04 Lucid Lynx themes and Leopard. 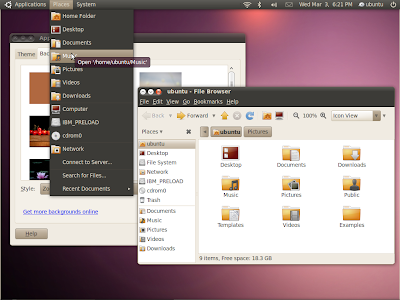 Please note: The new artwork most probably isn't finalized yet, so it'll be interesting to see what actually lands in Ubuntu 10.04 (Lucid). Update 1: some recent screenshots place the window buttons on the top right corner instead of top left. See HERE. Update 5: Almost Official: Ubuntu 10.04 Lucid Will Have The Window Buttons On The LEFT!